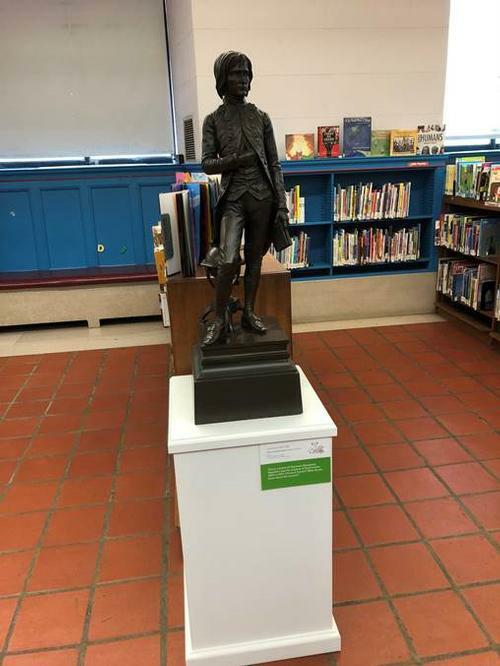 As you walk through the Children’s Department at Parkway Central Library, we hope you’ll stop and admire our newly-returned statue, The Young Bonaparte. We’re happy to have Napoleon back, inspiring our visitors to change the world they live in. 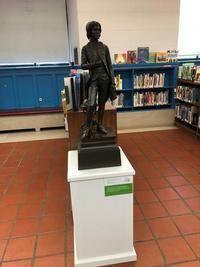 Bonaparte was gifted to the Free Library in 1950 by Josephine Linn, the widow of Justice William B. Linn. Justice Linn was a member of the Pennsylvania Supreme Court from 1932 until his death in 1950 and was also a member of the Free Library of Philadelphia’s Board of Governors.